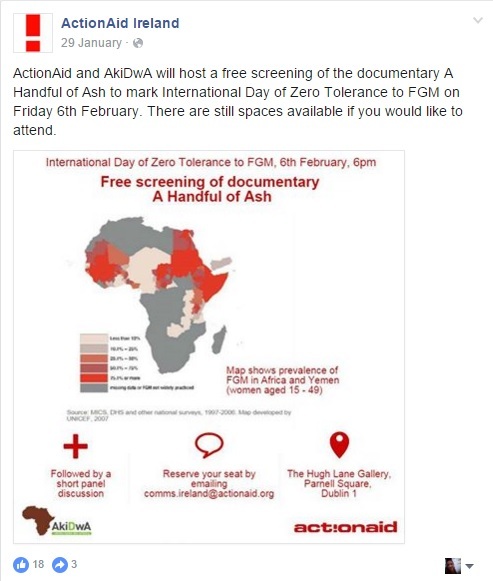 Support in the organisation of the Free screening and panel discussion against FGM in The Hugh Lane Gallery. In charge of venue logistics and supporting external communications. Post in Social Media announcing the event. Article on the ActionAid’s website.